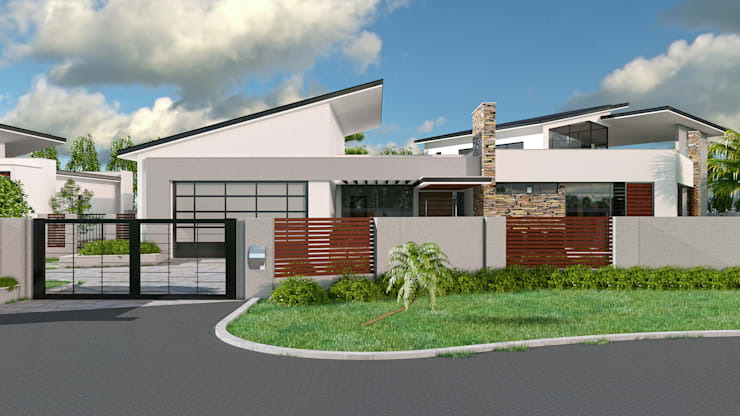 Today on homify 360°, we check out a local project completed by Johannesburg-based professionals Stena Architects. 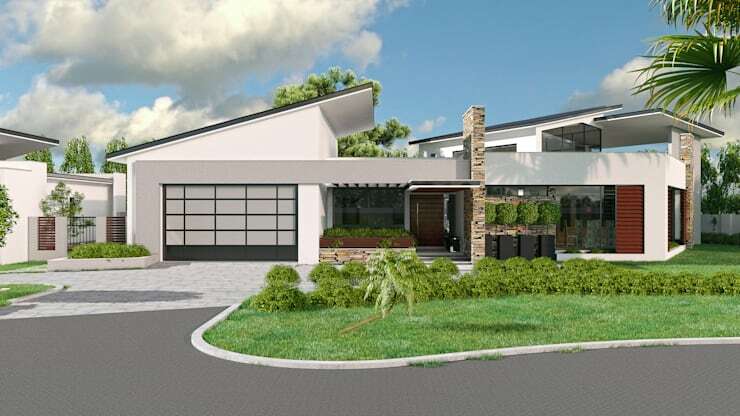 Nicknamed ‘House Mapanza’ by its creators, this medium-sized, three-bedroom beauty features all the right touches to be considered a dream home: a diversity of materials, eye-catching texture, fabulous finishes, spacious layouts, a dream garden which surrounds the structure, etc. Of course this project wasn’t just a successful creation completed by accident. Being the professionals that they are, Stena Architects combined their skills, experience and knowledge of architectural designs and ethereal quality to ensure that the finished result, like all their projects, met up with the highest of customer satisfaction levels. What a beautiful combination of sleek and contemporary materials – glass, natural stone and wood all flow together rather elegantly to conjure up the modern façade, yet also provide a firm contrast with one another to ensure a visually detailed vision. 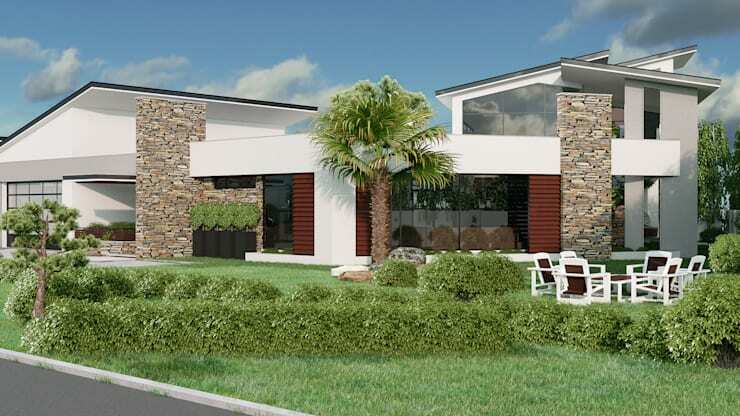 And just because we can (and feel like it), we check out what this house would look like with a modern security- and privacy wall in front of it. Flaunting the same modern materials as the house (apart from glass), it does absolutely nothing to detract from the house’s stylish look. On the contrary, the two structures fit together rather nicely. Although the side view of the house continues to show off the beautiful combination of materials, we can’t deny how soft and inviting this area looks – definitely because of the freshness of the lawn/garden, as well as the fact that a lot more glass panes show up here, adorning the windows, glass doors and balustrades of the balconies. We leave you with this image of the house, where a delightful little gathering spot has been added to the garden – perfect for enjoying anything from an al fresco socialising with the friends to some solitary relaxation time. What else would you add to this yard/garden to make it more becoming? A splash pool? A flower garden?